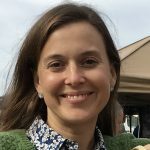 Lauren Hierl joined Vermont Conservation Voters as Political Director in 2014, and was promoted to Executive Director in 2018. 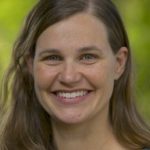 Prior to that, Lauren worked for two years as Environmental Health Advocate at the Vermont Public Interest Research Group (VPIRG). She spent the previous decade working as an environmental advocate in Washington, DC at National Audubon Society and Alaska Wilderness League. She also conducted climate change research in Kruger National Park in South Africa, and oversaw a land and endangered species conservation assessment in San Diego. Lauren received her Master of Environmental Management and Master of Public Policy degrees at Duke University, and a Bachelors in Environmental Studies and Ecology at Dartmouth College. Kinny Perot is the President of Friends of the Mad River and a member of the Yestermorrow Design Build School Board of Directors. Kinny has represented the towns of Granville, Fayston, Warren and Waitsfield in the State Legislature from 2000 to 2004. She has served her community as a Warren Select Board member and Warren representative to the Mad River Valley Planning District as well as having been active on the Warren school board, Warren PTA, the Warren library commission and the Vermont Festival of the Arts board. She is a graduate of the University of Pennsylvania and did post graduate studies in botany, and forestry and environmental studies at Connecticut College and Yale School of Forestry and Environmental Studies, class of 1980. She has two grown sons. 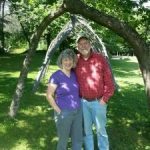 She and her husband, Richard Czaplinskski, are working “to do less with less,” fostering energy conservation and sustainability and experimenting with permaculture in Warren village. Linda has been a Vermonter since 1986, after moving to Norwich from the Washington, D.C. area. She has been active with town affairs, serving on the Norwich and Dresden school boards from 1998 to 2008, and since then on the town energy committee, which she chairs. She was appointed an Alternate Commissioner with the District 3 Environmental Commission in 2012. Her paid work, centered on administration and event organizing, includes as a staff person for a U.S. congressman, as conference organizer and administrator for the American Wind Energy Association, and as volunteer coordinator at the Montshire Museum. Linda and her husband Tom live in Norwich along with two dogs, a cat, and two guinea fowl. They are lucky that their two adult daughters also live in town. Jacob resides in Burlington, Vermont with his family. 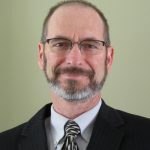 He has served as a leader on non-profit boards and committees for many years, including president of Champlain Valley Dispensary, Inc., president of Lake Champlain International, Inc., and chair of the Vermont Democratic Party where he presided over the most decisive overall electoral victory for the party in state history. 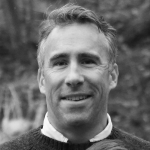 Mr. Perkinson is a licensed attorney in Maine and Vermont as well as many federal jurisdictions, including the Supreme Court of the United States. He manages a local real estate company, is a principal in a business consultancy and serves as a political advisor and strategist to elected officials and candidates. Jake is an active volunteer in the community as a trail adopter for the Green Mountain Club, a youth coach for soccer and baseball, commissioner and chair of the Burlington Fire Department, director of the Greater Burlington Girls Soccer League and the plenipotentiary supervisor of Buels Gore, Vermont. Sue Minter has spent the past 30 years working as a professional planner and policy maker at the local, state, national and international level. She is the former President and CEO of Special Olympics Vermont (2017-18), Secretary of the Vermont Agency of Transportation (2015), and Deputy Secretary (2011-2014). Following the historic flooding from Tropical Storm Irene in 2011, Sue was appointed to be Vermont’s Irene Recovery Officer, responsible for implementation of state recovery and resilience programs and activities. In 2016 Minter was elected to be the Democratic candidate for Vermont Governor and served as a State Representative in the Vermont legislature from 2004–2010. A graduate of Harvard University (BA) and M.I.T. (MA in City Planning), Sue and her husband, David Goodman, live in Waterbury Center and have two children. She enjoys running, backcountry skiing, bicycling, hiking, gardening and walking her dog. Lindsay DesLauriers is one of the co-owners and the Executive Vice President and COO of Bolton Valley Resort as well as a co-owner and Managing Partner of Bolton Valley Community Water and Sewer. Prior to working at Bolton Valley, Lindsay was the founding Director of Main Street Alliance of Vermont, a non-profit organization that works with small business owners on public policy issues. 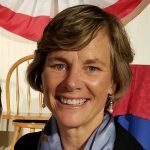 Under her leadership, MSA-VT helped to lead campaigns to pass legislation ensuring paid sick days for all Vermonters and Green Mountain Secure Retirement, a publicly administered retirement program for small business owners and their employees. In her current role at Bolton Valley, Lindsay is spearheading a multi-year strategy to refresh, modernize, and improve the Resort’s existing amenities and infrastructure as well revive and develop summer operations. Lindsay lives, skis, and mountain bikes on the mountain at Bolton Valley with her daughter, Juniper. Michael Fisher is an outreach social worker for the Addison County Parent/Child Center working with Teenage Parents and their children. He received his undergraduate degree from Hampshire College in Amherst, Mass., and his Masters of Social Work from the University of Vermont. He was a Member of the Vermont House of Representatives from 2001 through 2014, including as Chair of the Committee on Health Care. He lives in Lincoln with his wife, son, and daughter.